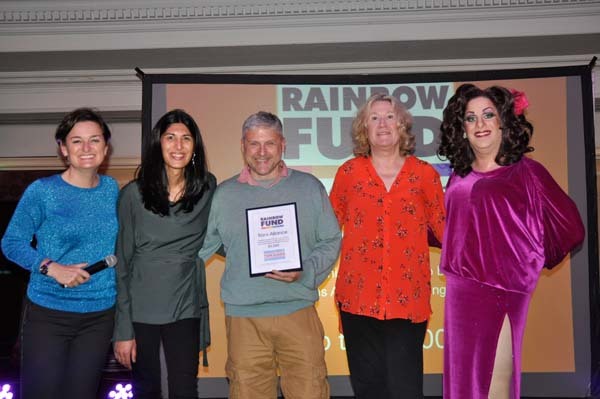 Grants totalling £110,688 awarded to local LGBT+ and HIV organisations at the annual Rainbow Fund Grant Awards Ceremony at the Brighton Metropole Hotel on Monday, October 16. 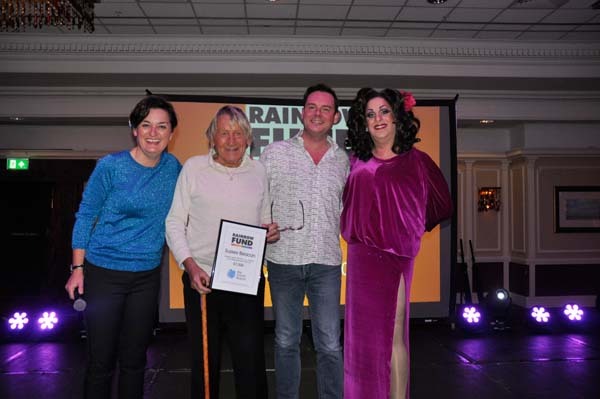 Rainbow Fund Patron Zoe Lyons and entertainer Lola Lasagne proved a great double act hosting the ceremony and announcing the successful recipients of this years grants. 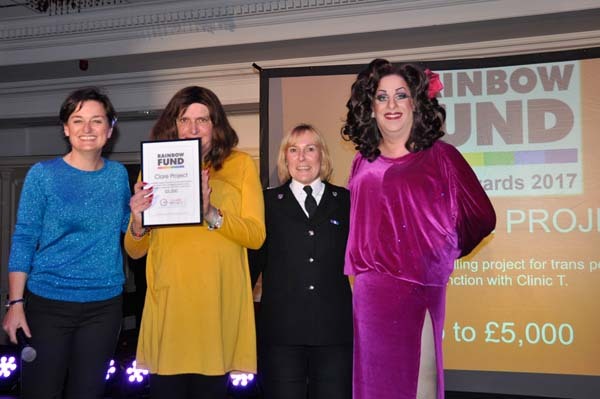 Chris Gull Chair of the Rainbow Fund welcomed the guest presenters for the evening who included The Mayor of Brighton and Hove Cllr Mo Marsh, The Chief Executive of Brighton & Hove City Council, Geoff Raw, The Chief Superintendent of Brighton & Hove Police, Lisa Bell, the Leader of the Conservative Group on Brighton & Hove City Council, Cllr Tony Janio and Ward Councillors for St Peters and North Laine, Pete West and Queens Park, Adrian Morris. 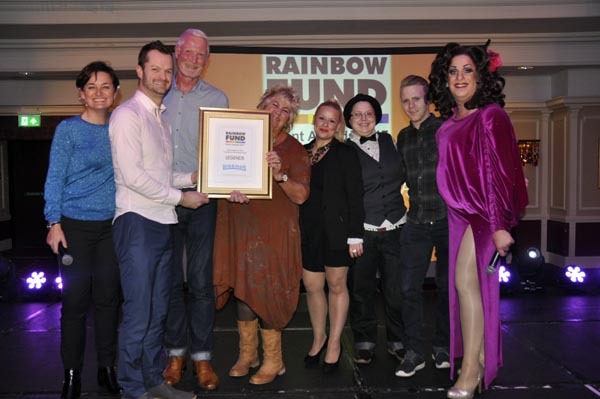 The Rainbow Fund does not engage in fundraising itself, but rather, acts as a central hub for general community fundraising. 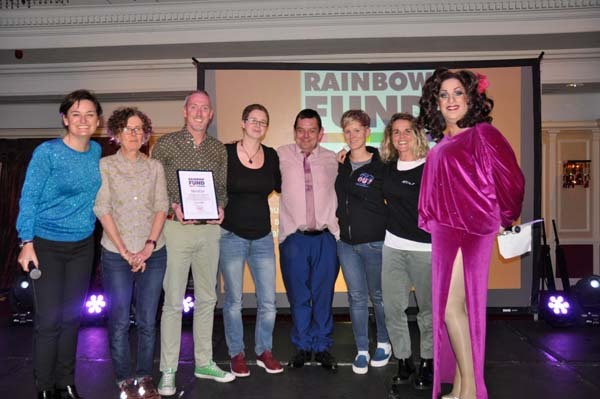 Money donated is distributed once a year, through an independent grants panel who assess grant applications from local LGBT+ and HIV groups and organisations who provide essential front line services to LGBT+ people in the city. 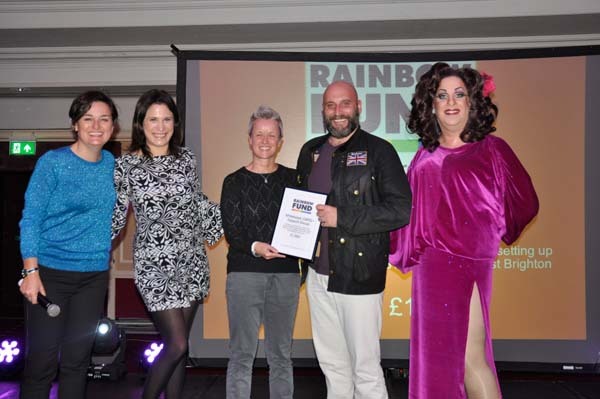 Chris thanked the Directors of Pride in Brighton and Hove, for the £1 a head they donate to the fund each year from every ticket sold for paid for events at Brighton Pride, which this year amounted to £107,508.74. 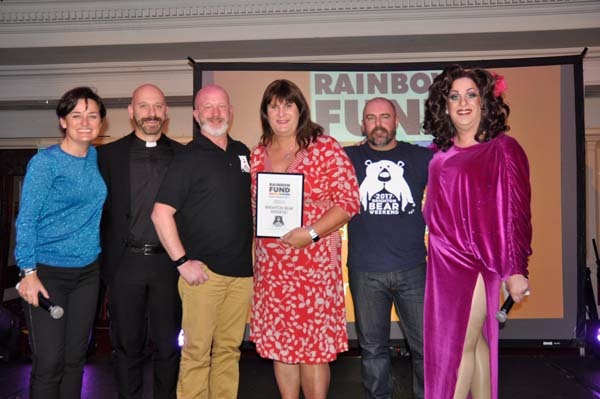 He thanked the long list of supporters who had made donations to the fund this year including, Brighton Bear Weekend, Legends, Bear-Patrol, Charles Street, Doctor Brightons, Brighton Gin Company, and the many individuals who had made private donations. 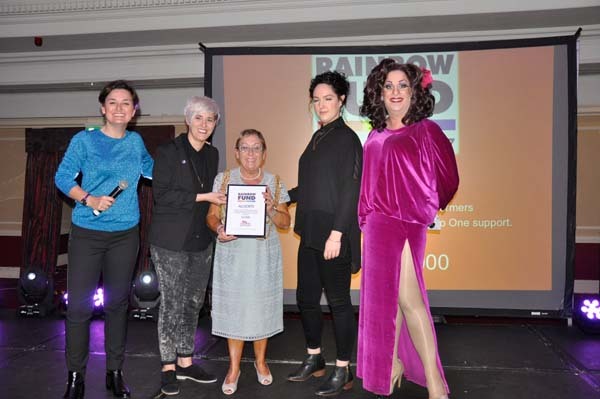 Special mention was reserved for the Hilton Brighton Metropole who had donated the buffet, and allowed the Rainbow Fund to use the room all day free of charge for a conference and summit for local LGBT+ and HIV organisations. 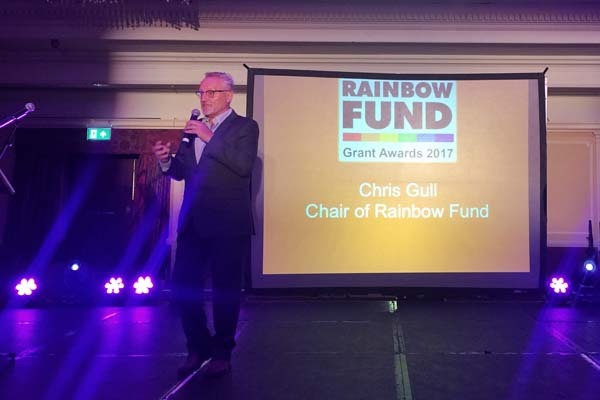 Chris Gull said: “Once again we were able to distribute a record amount of money raised within our communities to a record number of projects which support people in our local LGBT+ and HIV communities. 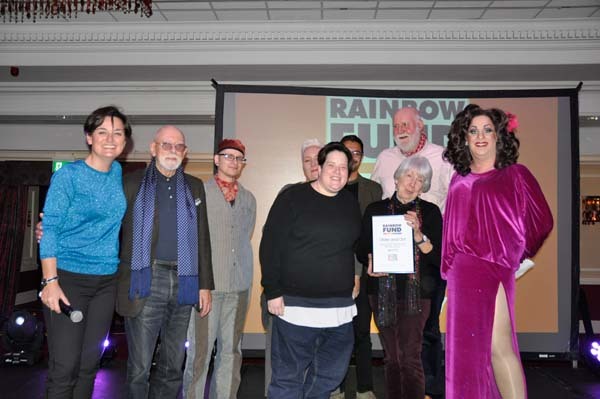 “The Independent Grants Panel took a huge amount of trouble in assessing the applications, including face to face discussions with the applicants, and we’re impressed by the quality and range of the projects. 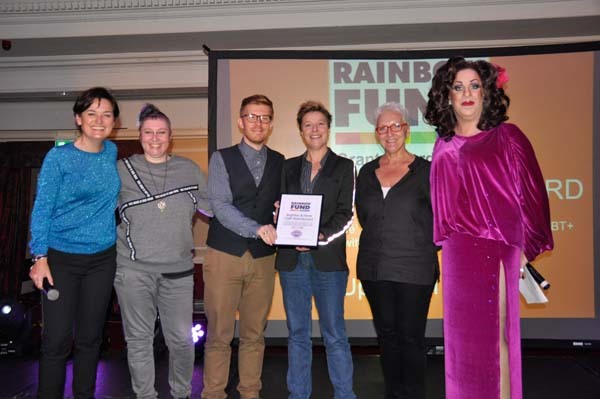 “Once again we were able to support groups and organisations providing services and support to our LGBT+ Elders, and practical support for those in the Trans and HIV communities, along with many other innovative projects. 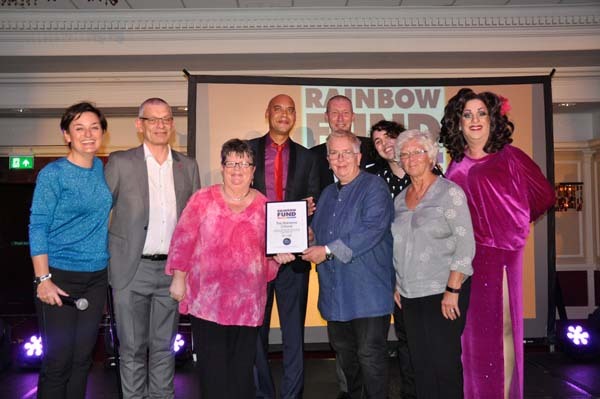 We are noticing that projects are focusing more and more on reducing social isolation. 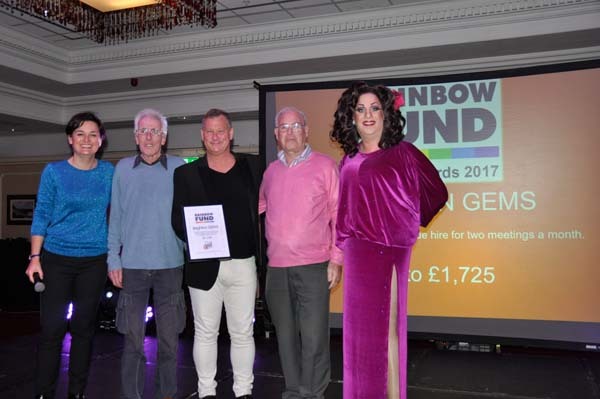 Two special fundraising awards were presented to Legends whose sponsorship and fundraising support for Brighton Pride amounted to £8,650.75 and Brighton Bear Weekend whose fundraising raised £11,855 for the Rainbow Fund during 2017. 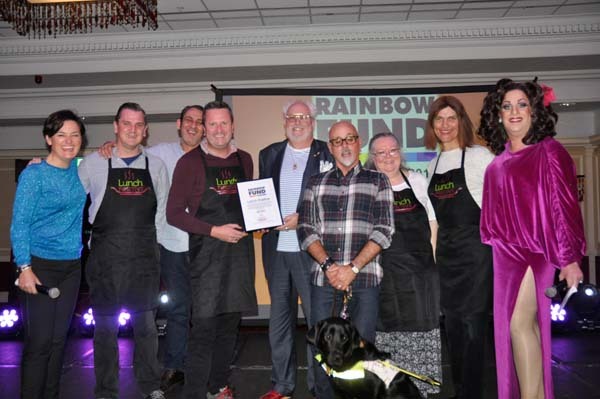 Brighton and Hove LGBT Switchboard received £11,725 for The Rainbow Café – a project to reduce isolation for LGBT+ people living with dementia, their families and carers. 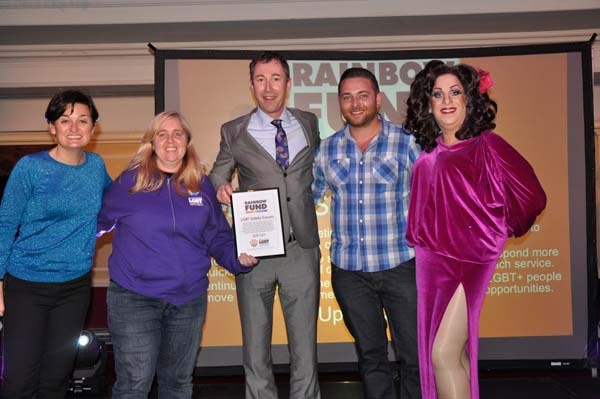 people move on, into employment, training, and volunteering opportunities. 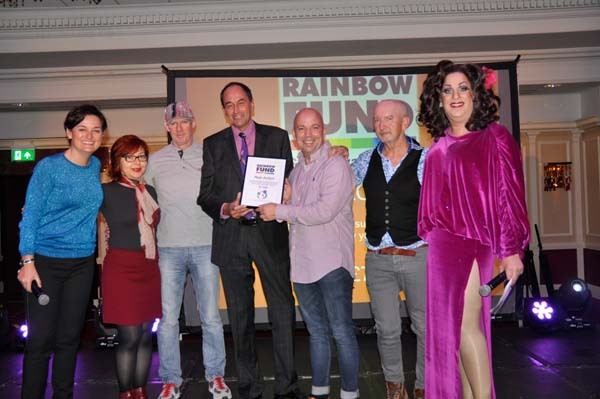 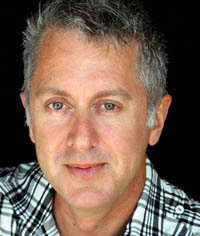 Presented by Geoff Raw, Chief Executive Brighton & Hove City Council. 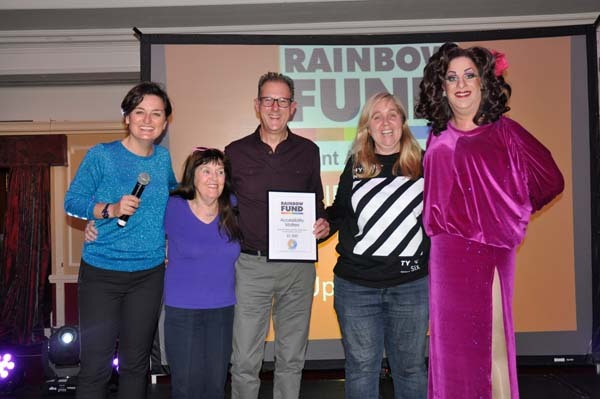 Brighton Pride Fundraising Award: Presented to Legends by Jane Mezzone and Steve Beaumont independent members of Rainbow Fund Grants Panel.